The Telegraph has been announced as the official media partner for the Educate North and UK Leadership Awards and Conference, which returns to the Hilton Hotel in Manchester on 27th April 2017. The Awards, now in their third year, celebrate the success of the North’s 33 universities and the wider Higher and Further Education sectors. Next year’s event will be the first time institutions in the rest of the UK will be able to compete for the three major Leadership prizes. Telegraph Media Group publishes The Telegraph seven days a week, in print, online and on tablet and mobile, reaching a global audience of over 89.1 million per month. Stuart Anderson, Head of Recruitment and Education at Telegraph Media Group, said: "The Telegraph powers the UCAS Official Clearing App for students looking for higher education places and reaches more 15-24 year olds than any other publisher. 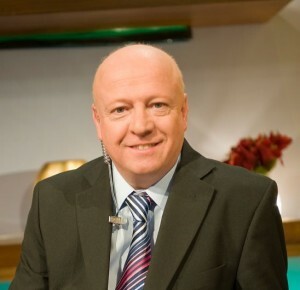 Producer and Broadcaster Rob Mcloughlin OBE, who created the awards in 2015 said: “The national awards are one of a series of new innovations for 2017. It has also been announced that the Awards and Conference (supported by Prolific North and staged by the events company Don’t Panic) has secured a series of new partnership deals to run the second University Entrepreneurs Challenge for spin out businesses from the HE sector and will be announcing the details over the coming months. The organisers will also update on the details of the 2017 conference which is likely to feature questions about the ability of the North’s Universities and those across the country to cope with Brexit. A full list of last year’s winners can be found here.